Brussels and Nord Stream 2. Intergovernmental agreement – the way out of a deadlock? While analysing the relation between Nord Stream 2 (NS2) and European policy making, the reference point should be the statement of the German Vice-Chancellor, Sigmar Gabriel, who, during a bilateral meeting with President Vladimir Putin in October 2015, declared, regarding NS2, that Germany will “ensure that all this remains under the competence of the German authorities” and that “external meddling will be limited”. Such opening of the investment process, unambiguously demonstrates that from the very beginning, this project has not been “purely commercial”, as Gazprom and its European affiliates (Engie, OMV, Shell, Uniper, Wintershall) claim. On the contrary, since its inception, it has been treated as a political priority in bilateral relations between Germany and Russia and enjoyed high-level political support which was recently re-confirmed back in June by the statements of Minister of Foreign Affairs of Germany and Chancellor of Austria, following the US Senate vote on tightening US sanctions against Russia which will hit NS2 project. These recent developments, highlight the need for more clarity about the position of the European Institutions towards NS2 and instruments they possess to adjust it to both the EU legal framework and the objectives of the Energy Union. The aim of this article is to briefly present the current state of play regarding this divisive investment project and speculate about potential developments, particularly taking into account the ongoing process of negotiating mandate for the European Commission, allowing the establishment of a hybrid legal regime applicable to NS2. Author argues that in the current circumstances, intergovernmental agreement seems to be the most rational option to ensure that NS2 will not be constructed and operated in the legal void what would have devastating effects on the nascent Energy Union and in the long term on the EU internal gas market. Within Brussels expert circles and EU institutions, there is a widely agreed opinion that due to its divisive impact on the EU and its possible negative consequences, NS2 is an “unnecessary investment”. As chairman of the ITRE committee of the European Parliament, MEP Jerzy Buzek, forcefully stated: there is a political consensus to reject this project. This cold reception of NS2 is based on considerations about its market and security of supply diminishing effects. Supporters of this point of view mention that NS2, while not providing any new resources to the market, will contribute to strengthening the position of the already dominant company – Gazprom, providing it with excessive pipeline optionality, useful for manipulating gas prices. It poses also threats of further market concentration and limitation of competition particularly in Central and Eastern Europe (CEE). Furthermore, changed patterns of gas flows in Europe would result in redirection of long-term gas contracts for Central Eastern and Southern Europe via Germany, blocking West – East interconnections capacities and limiting diversification options, thereby increasing the price of gas. In this regard, the construction of NS2 [Tweet "the construction of NS2 reverts the achieved progress in terms of infrastructure interconnections"]reverts the achieved progress in terms of infrastructure interconnections and kills incentives for new diversification projects. From the security of supply perspective, NS2 will rise the EU’s dependence on Russian gas and decrease the number of supply corridors (the construction of NS2 would possibly mean the closure of the Ukrainian route), accumulating 80% of Russian gas transit via one route of offshore pipelines. Last but not least, Gazprom is a company with record of abuses of its dominant market position on a detriment of regional gas market integration and unfair pricing in CEE. Hence, an increased dependency multiplies such possibilities and gives a way to Russia to meddle into the domestic affairs and force compliance of the most gas imports dependent states for example by abrupt decrease of gas supply. The economic rationale of this project is also doubtful due to the massive costs of this pipeline (estimated at 9.5 billion euro) and the new pipelines in Germany necessary for further transportation of the imported gas. It is particularly striking considering the existing spare transport capacities through Brotherhood system. Another factor is the gas transit through Ukraine. 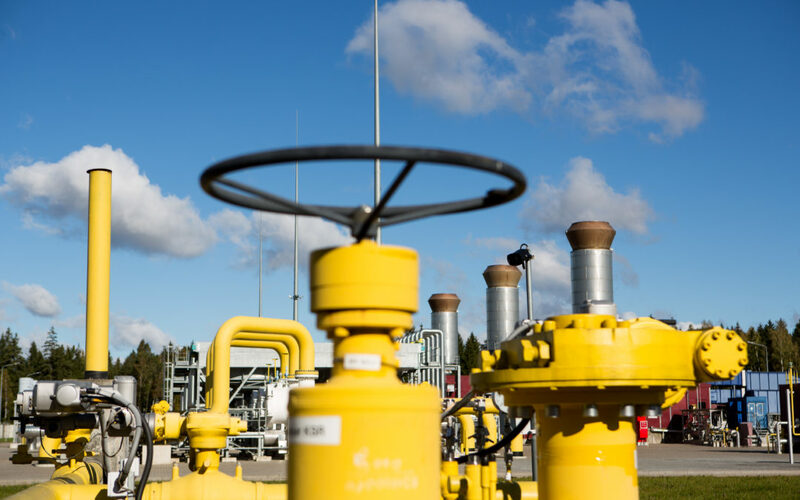 If stopped, it will mean the loss of transit fees, an important part of Ukraine’s budget and will also generate problems with the internal Ukrainian distribution system of gas. From a legal point of view, the EU, in line with the Association Agreement (art. 337) and the Energy Community Treaty, should consider the interests of Ukraine. As the investment is conducted without public sources, it is undisputed that it is impossible to administratively “block” it what would be a vivid breach of free market spirit and rules. A meaningful discussion should be focused on the adjustment of investment model to the rules of internal gas market exemplified by application of Third Energy Package (TEP) what would limit it’s negative impact. From the very beginning, the European Commission has presented a consistent point of view on NS2, at least at the statements level. In the “First State of the Energy Union”, published in November 2015, it stated that new pipelines between the EU and Russia will have to fully comply with the EU law and that the EC will assess any such projects against the European regulatory framework. Along with the rising tone of the debate, the EC displayed its declarations in a more decisive manner. In their letter to the energy ministers of Denmark and Sweden, the Commissioner for Climate Action and Energy, Miguel Arias Cañete, and Vice-President of the EC for Energy Union,Maroš Šefčovič,, conclusively claimed that “NS2 is not in line with the policy objectives of the Energy Union”. [Tweet "The implementation of this project in a legal void poses a challenge for the Energy Union"]The preferential treatment and the implementation of this project in a legal void poses a challenge for the future of the Energy Union initiative as it highlights how national interest of big state trumps over European priorities. Such a negative case undermines the European framework of the energy policy and opens the way for further segmentation and renationalisation of energy policies, diminishing the sense of a common European purpose. Another important aspect is that in the reality of closely integrated energy systems, choices of one country are affecting the functioning of the energy system of the others. The assumption that the effects of NS2 are limited to German market only, and as such should be seen as an internal German affair, does not make sense. The lack of acknowledgment of EU wide effects of NS2, exemplified by the change of gas flows in Europe, and the lack of consultation with states possibly affected by the project, is the initial mistake putting a shade on the entire investment project. To conclude, from the public diplomacy point of view, the construction of NS2 in a legal void could have destructive effects on the Energy Union. A key issue regarding NS2 is the applicability of the EU energy law – the Third Energy Package in particular. The EU is facing the following problem: the current model of investment assumes that Gazprom, the company engaged in production, supply of gas and its trading, enjoying a monopoly on pipeline gas export from Russia, will be at the same time the sole shareholder of Nord Stream 2 AG, future owner and operator of the NS2 pipeline. Such a situation, as it was noticed by prof. Alan Riley, implies that a vertically integrated state controlled company will be imported into the domestic legal order of the EU, clearly breaching the energy liberalisation packages which main aim was to break vertically integrated undertakings and introduce more competition on the markets. The eventual application of the core principles of TEP (unbundling or third-party access) would force Gazprom to redesign its investment model and most likely make it less attractive. A leaked internal exchange of opinions of the European Commission - DG Energy and the Legal Service (LS) proves that within the EC it exists a significant difference of views on the applicability of the EU law on NS2. In the document “Legal consequences of applying the Third Energy Package to Offshore Import Pipelines, in particular Nord Stream 2” (15.01.2016), DG Energy presented a rational assessment of the applicability of the EU law, based on the assumption that it must be fully applied within the EU’s territorial jurisdiction (territorial waters of Germany and Denmark). In this case, key provisions of TEP applicable to NS2 would include Third Party Access (art 32(1) of the Gas Directive, 2009/73/EC), Full Ownership Unbundling (art. 9(1) of the Gas Directive) and certification of Transmission System Operator of a pipeline (according to art. 10 and 11 of the Gas Directive) as well as Capacity Allocation Network Code reserving access to 10% of new transmission capacity on a basis of quarterly auctions. [Tweet "there are no legal instruments to adjust NS2 to the functioning of the EU internal energy market. "]The contrary interpretation was presented by the Legal Service. This opinion is crucial as LS has the binding right to decide upon the application of EU law by the EC. In a leaked letter addressed to DG ENER, LS chose a narrow interpretation of the TEP claiming that: “In the absence of a clear provision in the Gas Directive requiring, for instance a regime of third-party access, tariff regulation or ownership unbundling to be put in place for pipelines connecting Member States with third countries, one must conclude that EU law as it stands has not foreseen any mechanisms that could achieve the goals of the Gas Directive with regard to such pipelines”. Furthermore, it states also that even partial application of the EU law would not be effective, as it would apply only to limited part of the pipeline (which marked the territorial border of the EU), where second part (within Russian territory) would be under Russian legal jurisdiction which grants Gazprom exclusive access to pipeline’s entry point. LS response underplays also a jurisdiction of the EU dependent on geographical location, claiming that applicability of the EU law depends on the specific provisions of the secondary law applicable in certain cases. In this context, it is worth reminding that entities responsible for the application of the gas directive provisions in the national law systems are state institutions, supervised by National Regulatory Authorities (NRA). The importance of LS opinion is that it closes the possibility for the EC to launch an infringement procedure if certain NRA would fail to apply the rules of TEP. Besides that, the role of the European Commission is in fact quite limited in this process: it may advise NRAs on interpretation of the EU law and issue non-binding certification opinion. Leaked exchange of opinions between DG Energy and NRAs (Germany, Denmark, Sweden) seems to clarify the legal approach of the EC and German authorities on the pipeline. In a reply for an EC letter, German NRA stated that according to the legal opinion of the Federal Government and EC legal service, the EU legal regime does not apply to “offshore interconnections with third countries”. It refers also to the fact that internal market regime does not cover other offshore pipelines like NS1, Green Stream or MEDGAS and any application to NS2 would be a discriminatory practice. In a similar exchange of opinions with Danish and Swedish NRAs (initiated by those two countries), commissioners responsible for energy policy reiterate that specific legal regime must be applied for the offshore part of the pipeline encompassing fundamental principles of the EU law. The EC declared its will to obtain a negotiation mandate from the Council to pursue negotiations with Russia to set a regulatory regime. To sum up, at the current moment, we are in the paradoxical situation when there is a very strong assumption that NS2 is not in line with the priorities of the Energy Union and at the same time – according to the EC’s acquis interpretation - there are no legal instruments to adjust it to the functioning of the EU internal energy market. In other words, NS2 is on the best track to be constructed and operated in the legal void. [Tweet "offshore as well as onshore pipelines are regulated by intergovernmental agreements"]The rationale behind launching intergovernmental negotiations is the assumption that in the case of NS2, two not compatible legal regimes (EU law and Russian law) are opposed, which should be settled by an international agreement and the establishment of a hybrid legal regime. The accusation that this action would be discriminatory or politically motivated is inadmissible. It is an existing practice that offshore pipeline (North Sea pipelines) as well as onshore (Yamal, TANAP) are regulated in accordance with intergovernmental agreements. Simultaneously, as such agreements refer to infrastructure constructed before the coming into force of the TEP, they naturally didn’t include its provisions (with exception of Yamal pipeline). On 12.06.2017, based on the art 218 (3), (4) TFUE, the EC submitted to the Council a recommendation for a Council Decision authorising the opening of negotiations on an agreement between the EU and the Russian Federation. According to article 218 TFUE, the Council acting by a qualified majority adopts a mandate and tightly controls the whole procedure by authorising the opening of negotiations, adopting negotiating directives and allowing the signing of an agreement. Crucially, the European Parliament must be informed at all stages of the procedure and accepts the final version of the agreement by voting by absolute majority. On the 26th of June, the EC, during the Transport, Telecommunications and Energy Council (TTE Council) presented a draft version of a mandate, it was followed by another discussion on the 25th of July. In the text, the EC acknowledges a detrimental effect of NS2 on the EU, and proposes to include key principles of the EU: unbundling (possibly through ISO or ITO model); Third Party Access (at the level that approximates EU standards, including capacity available at short-term basis, as is set out in relevant network codes); non-discriminatory and cost effective tariff setting mechanism with necessary oversight; transparency of operations; and last but not least, measures mitigating the impact of NS2 on existing transit routes and on diversification schemes in CEE. The EC hopes that the mandate will be adopted within the Estonian presidency of the Council. Regarding the mandate drafting process, the extensive applicability of the EU law should be a priority. A narrow interpretation of the TEP by the LS is questionable. The intention of the legislator by enacting this piece of legislation, was to facilitate the development of a liberalised and liquid internal gas market providing level playing field for all natural gas undertakings achieved inter alia by separation of control of networks from commercial activities. Due to the magnitude of NS2 and its direct impact on the development of the European gas market (negative from our point of view), the EC should insist on the maximal reflection of its internal market rules in accordance with the purpose and economic goals of TEP. The fact that the EC submitted recommendation for adoption of a decision, opens the door for the Council to extend the scope of mandate, in order to safeguard the development of the Energy Union. In this regard, negotiations may lead to a truly European solution reconciling different point of views and setting out an example of how to collectively deal with contentious issues undermining the unity of the EU, and at the same time limiting accusations of unilateralism of certain MS. Crucially, in order to block the use of Russian favorite tactic of fait accompli, any construction permit should not be granted until the mandate and further negotiation agreement is concluded. [Tweet "the negotiation mandate is the only remaining measure to guarantee the applicability of the EU law over NS2"]The opening of the debate over the shape of the negotiation mandate is the only remaining measure to guarantee a certain degree of applicability of the EU law over the pipeline. The alternative is clear – Nord Stream 2 will be constructed and operated in the legal void. The EU’s long-lasting ambition is to disseminate its energy aquis in order to establish a predictable and stable regulatory framework – the expression of this aim was translated into the establishment of the Energy Community. Therefore, it is essential for the EU in relations with its most important supplier of gas to ask for adjustments to EU’s internal market rules. In this regard, compliance with potential negotiation mandate including certain degree of TPA would necessitate an overhaul of the Russian law which grants pipeline gas export monopoly to Gazprom. In this regard, the opening of the gas export liberalisation process may lead to increase of the Russian domestic level of competition, which will be positive for the EU. An example of emerging opportunities negotiating mandate brings, were the recent declarations of Estonian Presidency of the Council about the plans for extending the negotiation mandate for regulation on NS1. It is worth noting that the European Parliament will be both informed about the developments and will vote on the adaptation of the agreement. It may be regarded as a counterbalancing force to the probable timid approach of the Council, taking into account that it repeatedly and forcefully opposed the construction of NS2. Finally, vice-president M. Šefčovič declared, in the future, the EC would aim to rectify the gaps identified by LS amending the gas directive in order to explicitly cover transmission infrastructure form third countries. Ambitious negotiation mandate may serve as a reference point for this overhaul, contrary to a weak mandate which may affect this process. Therefore, it is in the strategic interest of the EU to develop strong negotiation mandate which would be an unprecedented sign of the unity of the EU towards highly politicised and divisive issue and a strong impulse for the implementation of the Energy Union. Kremlin, Minutes of Meeting with Vice-Chancellor and Minister of Economic Affairs and Energy of Germany Sigmar Gabriel, October 2015. Statement of MEP Jerzy Buzek, Conference: The role of Ukraine as a strategic EU energy partner, European Parliament, 22.06.2017. P. Kotek, A. Selei, B. Takacsne-Toth, The Impact of the construction of Nord Stream II gas pipeline on gas prices and competition, Regional Centre for Energy Policy Research (REKK), February 2017. DG Competition, Antitrust: Commission sends Statement of Objections to Gazprom – Factsheet, April 2015.